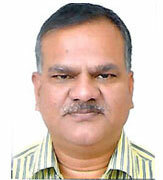 Shri Durga Shanker Mishra is a 1984 batch IAS officer of Uttar Pradesh cadre. He is the current Housing and Urban Affairs Secretary of Indiathe Chairman of the National Review and Monitoring Committee of Regional Centre for Urban and Environmental Studies, Lucknow. Mr. Mishra holds B. Tech. (Electrical Engg) from IIT, Kanpur and MBA (International Business) from University of Western Sydney Macarthur, Australia. He has also done PG Diploma in Human Resource Management from AIMA and PG Diploma in Democratization, Governance and Public Policy from Institute of Social Studies, The Hauge, The Netherlands Mishra has served in various key positions for both theUnion Governmentand theGovernment of Uttar Pradeshduring his career, like as Principal Secretary(Appointments and Personnel), Secretary (Tax and Registration), Secretary (Health and Family Welfare), Managing Director of Uttar Pradesh Scheduled Caste Finance and Development Corporation (SDCFC), District Magistrate and Collector of Agraand Sonbhadra districts, Vice Chairman of Kanpur Development Authority and as the Municipal Commissioner of Kanpurin the Uttar Pradesh Government,and as the Union Housing and Urban Affairs Secretary, Additional Secretary in the Ministry of Urban Development, Joint Secretary in the Ministry of Mines, Joint Secretary in the Ministry of Home Affairs and as the Chief Vigilance Officer (CVO) of the Airports Authority of India (AAI) in the Union Government. 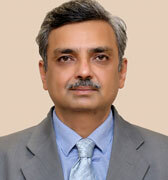 Shri Manoj Kumar Singh IAS is a 1988 batch IAS officer of Uttar Pradesh cadre. He is presently appointed as Principal Secretary Housing and Urban Planning, Government of Uttar Pradesh and the Chairman of the Governing Council of Regional Centre for Urban and Environmental Studies, Lucknow.